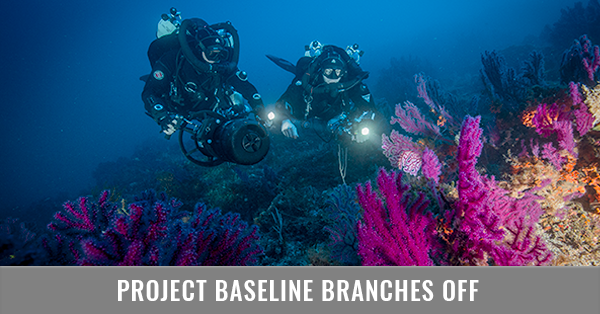 The GUE Board of Advisors (BOA) provides governance within GUE’s diver training division. This panel was appointed by GUE’s President in 2016 and selected in consideration of current and past activity, as well as willingness to donate time to the organization. BOA members are drawn from the ranks of GUE’s most active instructors, and members must be a GUE instructor in good standing. Members are reevaluated annually and may be confirmed for a second term or replaced by the Chairman. No BOA member is paid for their contribution. Learn more about the BOA here. You can also click each member's title for a description of their duties. Jarrod Jablonski is an avid explorer, researcher, author, and instructor who teaches and dives in oceans and caves around the world. Trained as a geologist, Jarrod is the founder and president of GUE and CEO of Halcyon and Extreme Exposure while remaining active in conservation, exploration, and filming projects worldwide. His explorations regularly place him in the most remote locations in the world, including several world record excursions at 300ft to cave penetrations in excess of 24,000feet/7km; these dives include bottom times of 12 hours with total immersions near 30 hours. Jarrod is also an author with dozens of publications, including three books and several forthcoming. Dorota I. Czerny has been involved in the dive industry since 1999, when she first became a scuba instructor. What started as a mere fascination with the underwater world developed into a profession when, in 2001, she decided to quit teaching at Silesian University and begin working in Egypt. Over the next 10 years, she not only gained the experience of several thousand dives but also developed into a skilled dive educator and dive operations manager. Her constant striving for excellence brought her to GUE in 2005, and since then has been committed to the development of the organization and its training at the highest level. Within GUE, Dorota is an Instructor Evaluator and a Recreational and Technical instructor; she holds a Master's degree in Political and Social Sciences, as well as a degree in Journalism. Kirill Egorov graduated from Moscow State Pedagogical University as a teacher of Physics in 1999, and attended a course of archaeology at Moscow State University. These two specialties allowed him to participate in multiple scientific research programs, including an archaeological and textile research project at the Moscow Kremlin Museums and Viking Age textile research at the Russian Natural and Historical Heritage Institute. After his first try-dive in 2000, Kirill was totally amazed with the underwater world, and made it his hobby first, and a profession later. 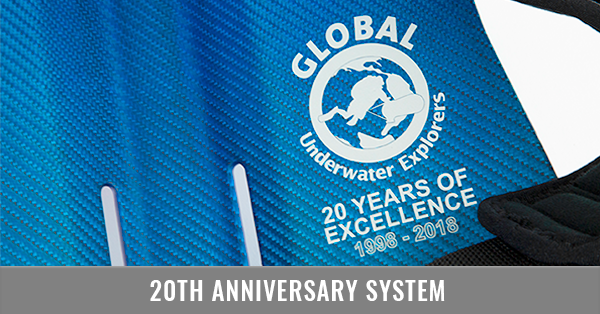 He became a PADI recreational and technical instructor in 2003-2004 and joined GUE in 2005. Since that moment he has concentrated on two main passions: diving and teaching diving. Kirill is currently teaching for GUE at the Cave 2 and Tech 2 levels and working on GUE training materials. He resides in High Springs, Florida, which allows him to cave dive as much as possible while pursuing a new hobby, underwater photography. Mark’s first breath underwater came in 1969 when his dad returned home from Vietnam with a steel 72, a J-valve, and a Calypso regulator. In 1973, Mark earned his Open Water card and by 1979 he was an instructor for both NAUI and PADI. After more than two decades of pursuing business ventures and enjoying diving recreationally, Mark ran into GUE and the WKPP and became an accomplished explorer with miles of new cave discoveries listed on his resume. Presently he is an Instructor Evaluator and a member of the Board of Advisors for GUE, as well as the COO of Halcyon Manufacturing. Mark has a B.S. in Biology from University of California, Los Angeles and an MBA from Pepperdine University. Rich Walker has a background in the physics of blood flow, in which he holds a PhD. Since 2007, he has devoted himself to teaching the GUE curriculum full-time. He teaches the Recreational, Fundamentals, Tech 1, Tech 2 and CCR programs and is an Instructor Evaluator for courses to the Tech 2 level. Rich is active in projects ranging from French cave exploration to wreck documentation projects in the English Channel and archaeological work on Mars in the Baltic Sea. He has worked on many aspects of GUE infrastructure, including materials development and managing the European Underwater Federation's recognition and concomitant ISO approval of the GUE training curriculum. Richard Lundgren is the founder of Scandinavia’s Baltic Sea Divers and Ocean Discovery diving groups, and is a member of GUE’s Board of Directors. He has participated in numerous underwater expeditions worldwide and is one of Europe’s most experienced trimix divers. With more than 4000 dives to his credit, Richard Lundgren was a member of the GUE expeditions to dive the Britannic (sister ship of the ill-fated Titanic) in 1997 and 1999; has been involved in numerous projects to explore mines and caves in Sweden, Norway, and Finland. In 1997, in arctic conditions, he performed the longest cave dive ever carried out in Scandinavia. Richard’s other exploration work has included the 1999 filming of the famous submarine, M1, for the BBC; the side scan sonar surveys of the Spanish gold galleons off Florida’s Key West in 2000; and the search for the Admiral’s Fleet, an ongoing project that has already led to the discovery of more than 40 virgin wrecks perfectly preserved in the cold waters of the Swedish Baltic Sea. Mario Arena is an avid underwater explorer; his passion for naval history and his research activity have yielded the location and identification of many historical shipwrecks. Mario has also organized and led a number of projects in collaboration with Italian and Croatian archaeological authorities. 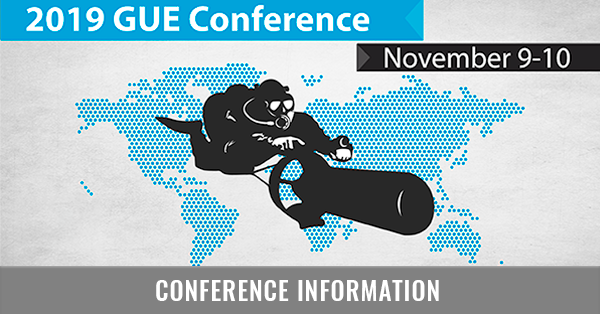 Mario is an Instructor and a Technical Instructor Trainer for GUE.